A 2018 review by the Canadian Agency for Drugs and Technologies in Health evaluated dozens of studies on the health effects associated with fluoridation. “The evidence in this review supports the protective role of community water fluoridation in reducing dental caries [cavities] in children and adults,” the authors concluded. While Windsor’s mayor Drew Dilkens is opposed to fluoridation, he doesn’t think it should be up to municipalities to decide. “If there is truly a health benefit of fluoride in the water system that is legitimate and real, it should be decided and mandated for all water systems across the province of Ontario and across Canada. That is not the case. They leave the decision up to people like me with no science background,” said Dilkens. Like Windsor residents, almost two-thirds of Canadians no longer have fluoride added to their municipal water. 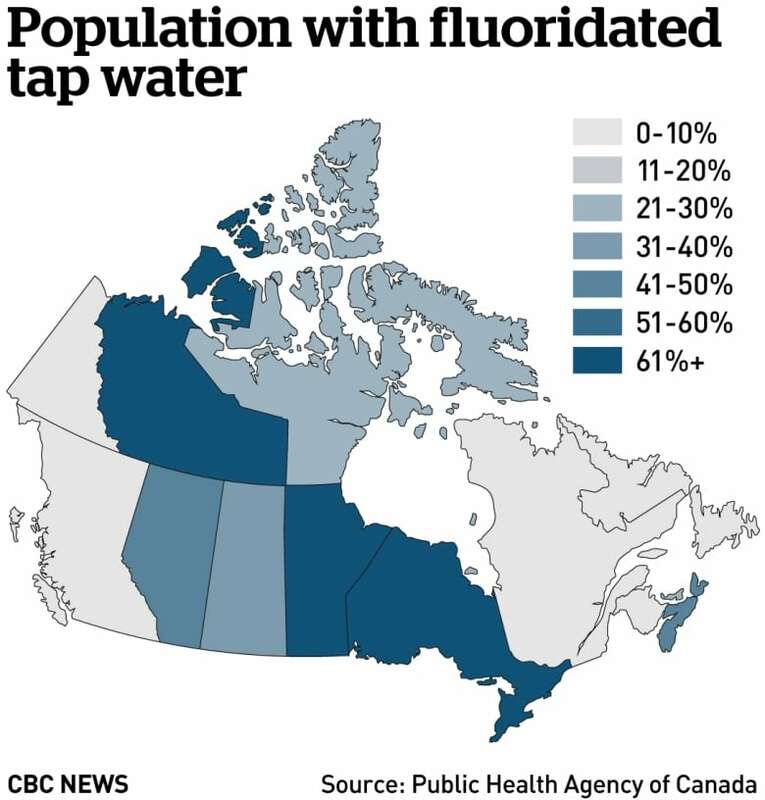 In British Columbia, Yukon, Quebec, New Brunswick and Newfoundland and Labrador for instance, less than three per cent of the population has fluoride added to their municipal water. In comparison, it’s 74 per cent in the U.S. and the CDC aims to increase that to 80 per cent by 2020. Yemmi Calito’s children are patients of Dr. Meriano. The two oldest kids were raised on fluoridated water in Windsor and both have healthy teeth. Her two youngest weren’t, and they’ve had to be treated for serious tooth decay. Calito said their oral hygiene habits are the same. 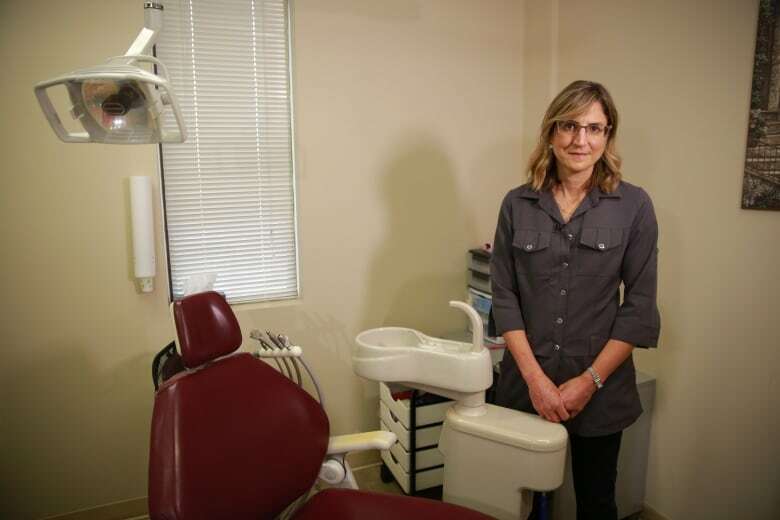 Like Windsor, Calgary is also seeing a spike in kids’ cavities after removing fluoride. One city councillor in Calgary is convinced of its health benefits and thinks the city should vote on putting it back. In affluent areas where there’s access to dental care, and people receive advice from dentists on how to counsel their kids to use fluoride toothpaste without swallowing it, then there might be an argument against fluoridation, he said. “But in communities which are poorer, where there is no access to dental care and where children are not regularly examined in terms of their dental health, the overwhelming evidence is that you can reduce cavities by putting fluoride into the water,” said Schwarcz, who heads the McGill Office for Science and Society.